Simple no sleeves day dress from 1960's. 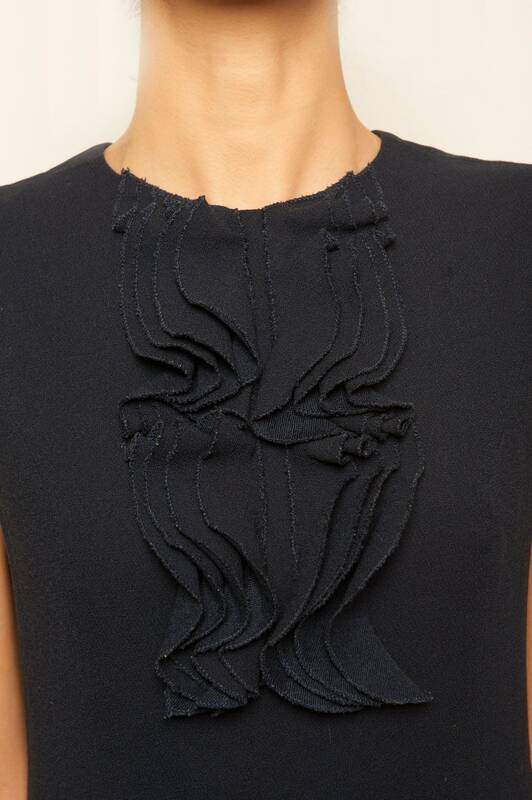 Frilled on the middle, closure with a zip on the back. Good; there are slights sign of wear(no damages).